Home Headlines & News Slow Golf – How Long Does It Take You To Play? A hot topic for the last few years in the golf circles has been the amount of time it takes to play a round. Some feel this has contributed to the slow down in the game as a whole, and others feel that while it is necessary to get the game moving faster, that too many other factors contributed to place the blame on slow play. Slow play has been debated in every area of the industry for years and that is not going to change. Instead, this is headed in a different direction and one that might make you look at the time it takes to play in a unique light. First off, what is slow play? 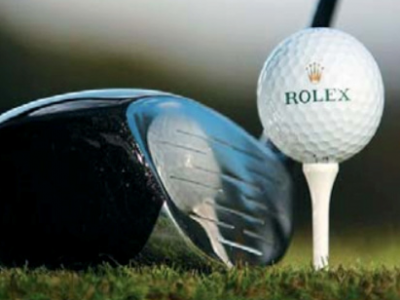 The phrase comes up at nearly every course and tournament and any sort of jam is labeled in a similar fashion. How long should it take to play a round of golf? What used to be just under four hours was then moved to four and a quarter hours and then to even four and a half hours as the acceptable amount of time to play a round of golf. The detractors on the topic immediately push to get it back to those four hour rounds and that there is no reason that it should take as long as it does. Less rushed point to new course designs, harder course designs and more spread out course designs as the reason the extra thirty minutes has been added to the time it takes to complete the round. So who is right? In this instance, both are in their own way, however one must look at each individual course to determine the proper pace of play and some places do this better than others. However without question, the time was moved back to four and a half hours because golfers take more time on the course. At this point it is usually pointed out that lower scores mean less time because there are less strokes being put in and therefore if it takes 1 minute per stroke (random number) 72 is less than 105. That is simply not the case. A quick look at the tour level golf round times show that even the best in the world take a long time and in the research done, the better players do take longer to prepare for each shot. So what is the answer? Some would argue that pushing the appropriate finishing time number to five hours means that everybody would finish on time. That sounds a bit like giving everybody a trophy for participation and would do nothing to change what needs to happen to make the game more enjoyable for the masses. Golfers emulate what is seen on TV. Speed up the game at the highest level and it trickles down to what happens each weekend at the local public course. There are rules in place that are there to keep the game moving on the different professional tours, yet being enforced is something entirely different. Anybody find the irony that the last major featured one thousand loops of the Omega Watch commerical and another tour’s rankings are done by Rolex? Yet neither can clearly tell time. All of this goes back to the original question which is not about slow play being a problem, because most agree it is. The question here is how long does it take you to play a round of golf? In the quest around the country at different events, where golfers are having fun and competing, there is no question that slow play begins to creep into each round. However when asked openly about the pace of play, most will tell you that they are not slow. Could the issue be as simple as nobody believes they are slower than they should be? Could an entire industry be propped back up to that four hour mark just by every golfer realizing that they are assisting in the epidemic of slowness that takes place each weekend around the country? You tell us. Great article which Im sure will have lots of very informative responses. For me personally I consider things slow if it takes beyond 4 hours and 30 minutes on the weekend. Just this past Sunday I played a round with cart path only at 3:45 and it was great to just move along at a nice solid pace, no one was rushed, we had a few holes were we had to look for balls but went about our business and finished in a good time. 4.5 hours for me means from the time I leave my house to the time I get home we could be talking about being gone for 6 hours on a weekend to play a round of golf which is just not something I have any interest in at this point in time. What drives me crazy is courses that speak to a 4.5 hour pace of play but do nothing to enforce it whatsoever. I also thing people should be playing the correct sets of tees and that doing so would help alleviate some of the slowness but thats for another discussion. I think it’s hard for any person to truly state how long it takes for them to play a round of golf. I can say that it takes me 3 hours (example) if playing alone but that means absolutely nothing when on the course with 3 other players, and subsequently other groups in front of you. Personally, I’m okay if a round takes 3 hours or 5 hours. I try not to be in a rush doing something I enjoy but I also don’t like waiting on each shot NOR do I want people behind me waiting to hit on each shot. Guess I don’t have a great answer as there are just so many variables that come into play. I do play ready golf, I’m aware of how to get numerous players into a position where they can hit when it’s their turn but ultimately all it takes is 1 golfer to slow down an entire course…..and this is where marshals come into the picture but they often are few and far between. Slow play is any play on a golf course that results in a round that lasts longer than 4 hours (A few course layouts may get an exception to 4:15). There is simply no understandable reason why any round needs to take longer than 4h. A typical round that I play is 3:45 on a weekday or 4:45 – 5:30 on a weekend…basically all day on Sat/Sun. Courses have resigned themselves to the fact that there’s nothing they can do without upsetting their precious golfers. I play anywhere from 3:30 to 4:30 depending on whome I am playing with. I think a round of golf shouldn’t take more than 4hrs. Anything beyond is slow. Slow(er) play has forced a change in my golfing habits. My family size and ages dictates that I just do not have 4 hours or more to dedicate to one activity in a day as a rule. I play twice a week, but 95% of my golf is played during Twilight hours. During the summers here, I can go out as late as 19:00 and still have close to 3 hours to play at the height of summer. These days I go out around 18:00 and can get about 2 hours in. I do things like keep optic yellow balls in my bag to get an extra 20 minutes in from where I lose the ability to follow a white ball. Playing in the evening is usually much faster for me. I am almost always playing alone. I can get 9 holes in 2 hours or less. Some days I will play two off the tee and track each ball separately to get “18” in. If there is slow play in front of me, I will usually drop balls and take practice shots to kill the time instead of nipping at their heels. But when I go play during the day, I always set the expectation that it will take 5 hours. Sadly most of the time I am close to right about that. But in my experience, the level of play is directly related to the slowness. At some point in the round the courses I play are laid out where you can see a few holes ahead and can identify the group that is holding everyone up. I also get to watch golfers go past my back yard daily. Those roadblock groups are never made up of good golfers just taking their time. They are always made up of players that struggle to get the ball airborne, zig-zagging down a hole 50 yards at a time in some cases. And while I fully support people getting into this game and don’t begrudge them playing, there also comes a point where you need to pick up your ball and move it forward. If I blame anyone, I blame the marshals. I have never, not once, seen a marshall push people along. When they drive by me on a slow day, if I make a comment about it I inevitably get what amounts to a shrug as a response. If it is a league playing slow, they make it clear that they will never try and push a league. As an extreme case, I was held up massively BY a marshall one time. He was going through the greens with a stamper tool designed to fix ball marks. He methodically went back and forth, hole after hole. I was held up as much as 5 minutes waiting for him to clear. I lost track of the number of times I wanted to fire away at the green in frustration. I was too stubborn to skip the hole and play on, I admit that. After the round I made a very vocal complaint to the manager about this, and I haven’t seen that guy on the course since so I suppose that did have some results. But these “marshals” don’t care to do their job other than to mark your receipt at the first hole, and hang out in their golf carts – many times chatting with other marshals. But in the end though, I think the real reason the courses are so slow is that the courses are losing money hand over fist and are so desperate to have anyone come play that they go to the extreme of not getting involved with the players unless there is no other option. The inmates have taken over the asylum, at least in SE Michigan. Anything over 4 hours is too long IMO. Constantly standing in the fairway waiting to hit my shot usually hurts my game. Usually a slow round is more often the result of one or two especially slow or inconsiderate groups, the time on the green and laziness when using a cart being the biggest factors. Anything over 4.5 hours is just too much for me. Add in travel to/from the course, lunch or drinks afterwards, and a regular round of golf could easily push 6 – 8 hours (Assuming an hour of travel or more each way). I feel there are a couple things that can really help with time: 1) A Marshal who is actively getting people to keep pace. 2) Refreshment stations – this will sound stupid, but the biggest waste of time on our course is when the cart girl stops a group in the middle of the fairway (do this 3-4 times a round and thats a decent amount of time). Shorter rounds are something that everyone needs to be working towards for it to work. It can’t just be one group trying to keep a decent time. The course employees and the golfers themselves all need to buy into the idea of faster golf. Ready golf, less delays, better staggering of tee times. It normally takes me about 3 hrs to play. I can play in 2.5 hrs if no one is in my way. Anything over 4 hrs is too long. By myself with no one in front of me takes about 2:45. A foursome takes about 3:45. Anything longer than 4:00 is too long. Anything over 4:30 is no longer enjoyable.